Deirdre Heddon is professor of Contemporary Performance at the University of Glasgow (UK). She is the author of Autobiography and Performance, and co-author of Devising Performance: A Critical History (both published by Palgrave). Her edited collection, Histories and Practices of Live Art, co-edited with Jennie Klein, was published in 2012 by Palgrave. Dee is also a contributor to Walking, Writing and Performance: Autobiographical Texts (Intellect Books, 2009) and has written a number of articles about walking and performance, including: 'Walking and Friendship', Performance Research (2012); "Women Walking: Shifting the Tales and Scales of Mobility", with Cathy Turner, Contemporary Theatre Review (2012); 'The Horizon of Sound: Soliciting the Earwitness,' Performance Research (2010); and, 'Walking Women: Interviews with Artists on the Move,' with Cathy Turner, Performance Research (2010). Dee recently co-edited a themed edition of RiDE: A Journal of Applied Drama, which focused on applied theatre and environmentalism (2012). 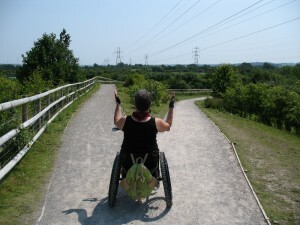 Her most recent project, Walking Interconnections, extends her interest in walking and environmentalism and she is currently working on an article about walking, disability and resilience, emerging out of this interdisciplinary research project (http://walkinginterconnections.com/). Dee is co-editing a new series for Palgrave, Performing Landscapes, for which she is writing Performing Landscapes: Forests. Dee also undertakes practice-based research, with one project ongoing with Misha Myers, The Walking Library (https://walkinglibraryproject.wordpress.com/), and her own recently completed series, 40 Walks (https://40walks.wordpress.com/).